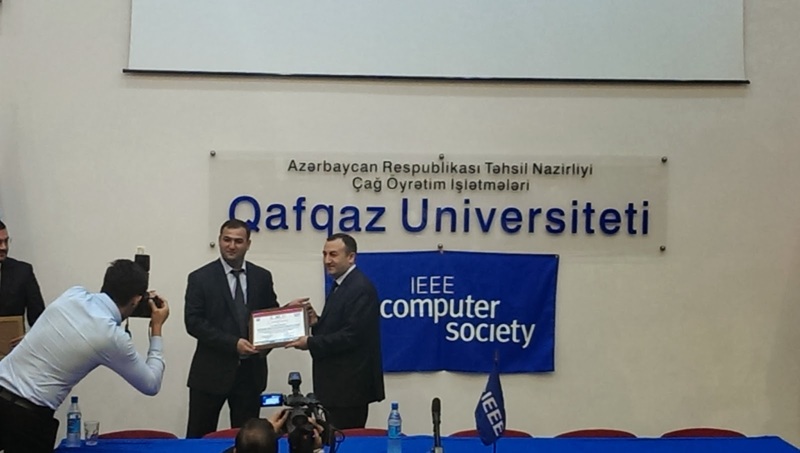 Yesterday, I attended Institute of Electrical and Electronics Engineers IEEE Day 2013 Baku, Azerbaijan conference at Qafqaz University. 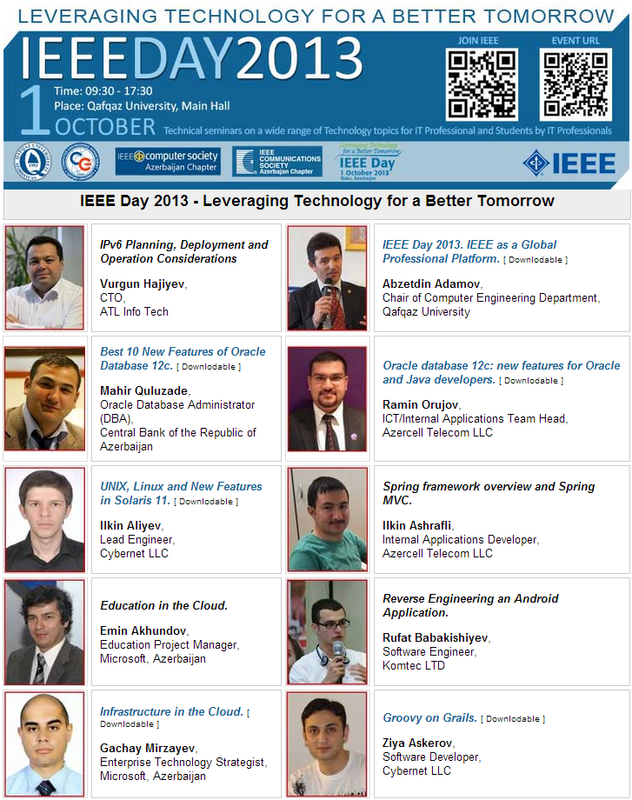 IEEE Day 2013 is important anniversary that engineers worldwide celebrate the first time when IEEE members gathered to share their technical ideas in 1884. 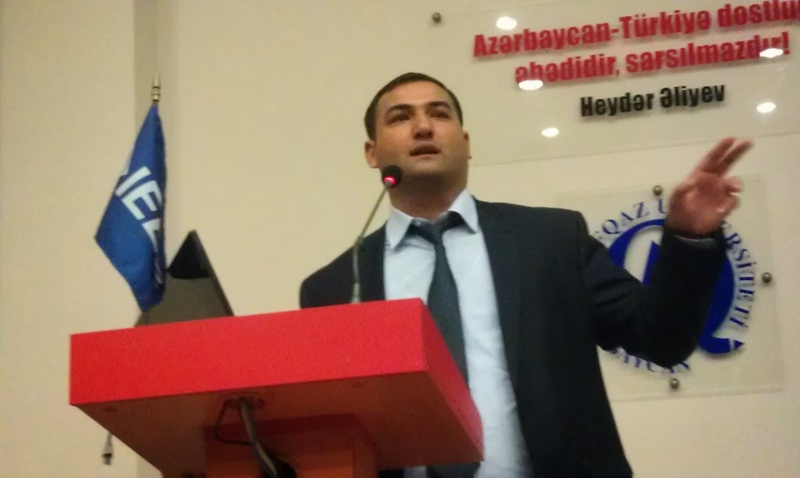 It is fourth celebration worldwide and first in Azerbaijan take placed at the Qafqaz University in Baku. 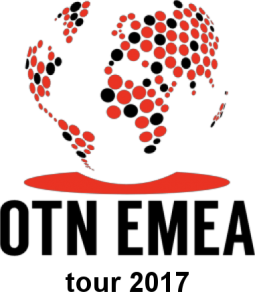 While the world benefits from what’s new, IEEE is focused on what’s next. 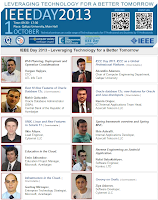 Thus, this year the theme of IEEE Day have been "Leveraging Technology for a Better Tomorrow". These are full-day hands-on technical seminars on a wide range of Technology topics for IT Professionals and Students to help them become Technologically Updated. 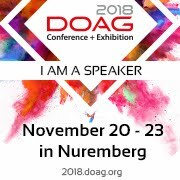 All speakers are high level certified IT and technical professionals with rich experience of applying their knowledge in corporations and businesses. I want thank to Prof. Dr. Ahmet Sanich, Rector of Qafqaz University and Special thanks Assos. Prof. Abzetdin Adamov, Chair of Computer Engineering Department of Qafqaz University for organization of IEEE Day 2013.